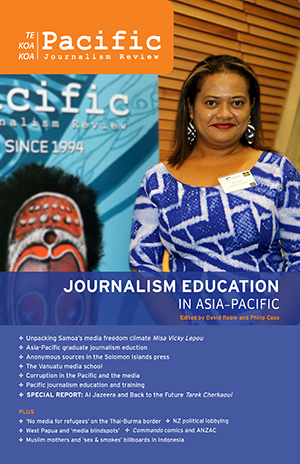 The themed core of this edition includes more peer-reviewed papers drawn from media educators and journalists at the JERAA/Pacific Media Centre/Media Educators Pacific preconference on July 13 and World Journalism Education Congress (WJEC2016) conference at Auckland University of Technology on 14-16 July 2016. Attendance by the Pacific delegation at WJEC was thanks to NZ Institute for Pacific Research (NZIPC). This is a second volume of WJEC conference papers following on from 'Journalism Education in the Pacific', 22(2) 2016.